The Shared Endeavor statement is the outcome of discussions among some of the nation’s largest arts education organizations, including Young Audiences Arts for Learning, attempting to define what quality arts education should be for our nation’s students. Announced in January 2014, the Shared Endeavor is a student centric statement that describes the support students need to expand their learning through the arts. 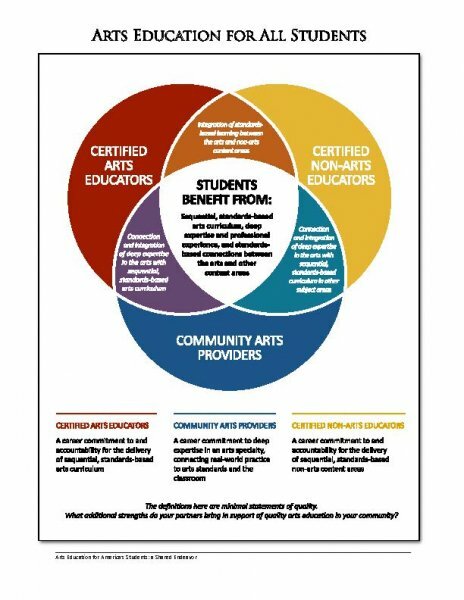 It fosters proactive, long‐term collaborations among certified arts educators, community arts providers, and certified non‐arts educators that engage parents and school leaders to support student access to high quality arts education throughout the school and community. As the convener for these conversations, I’m struck about how the statement reflects the quality music education I received when I was a student. I had fabulous certified music educators who gave me the strong basis on which I built my music learning. From composing in 5th grade to jazz band in junior high, my music teachers supported my music making and creative growth. In addition, they saw my interest and encouraged me to connect with my community arts providers. I took private lessons with John Oberbrunner of the Syracuse Symphony Orchestra; I played in the Syracuse Symphony Youth Orchestra (my tiny school didn’t even have an orchestra); and I took sight singing lessons at Ithaca’s Community Music School. These community arts providers allowed me to further develop my music skillset and work towards being highly proficient. Finally, my non-arts teachers recognized my interest in music and challenged me to connect that interest to the work in their classrooms. From writing about music in history to devising experiments with acoustics, my teachers worked hard to make learning personally relevant and exciting for me across all subject areas by connecting it to my passion for music. I want all students in America’s communities to receive the support I did in their pursuit of arts learning. That means we need healthy public school systems where the arts are taught as a sequential, standards-based curriculum. That means we need the opportunity to work and partner with non-arts teachers to support them in finding ways to connect with the arts that are relevant to their curricula.  That means supporting rich community arts partners like Young Audiences Arts for Learning, which provide professional level expertise in the arts to interested students. That is what the Shared Endeavor statement is all about – outlining what a healthy arts education ecosystem can and should like. And it is a call to action to spur us toward creating such opportunities for all of America’s children. Learn more about the Shared Endeavor.